This report is a historical description of the Star of Hope International (SOH) vision. It describes the organizational goals and objectives of Star of Hope and the strategies used to achieve them. This report also shows the capacity and know-how which Star of Hope has acquired and gained over the years to achieve the goals it has set. The report also describes how Star of Hope worked to ensure progress, and how we are still doing so to this day; Making the world a better place for all of Gods Children. What is the Goal Star of Hope wanted to achieve? Almost 50 years have passed since the seed was sown for present-day Star of Hope International’s work. During these year’s Star of Hope has acted as an independent Christian aid organization centered on the values and belief that every person has the same rights and value, regardless of race or social class. The goal has always been to assist those most in need. We strive to ensure better living conditions and equitable distribution of resources by giving the poorest an opportunity for an independent life, free from poverty and lack of education. The children and their environment have, from the beginning, been at the center of the Star of Hope vision. Children are the future. What we do for children is, therefore, important for all of humanity. Star of Hope has worked daily to provide relief to the most vulnerable in their countries and communities. The main objective is giving developmental support to the poorest children and their mothers and families living in extreme poverty. Star of hope has, of course, given tremendous amounts of aid to disaster victims in various countries. This provides an open door for further acts of compassion and builds trust with the communities. Over the years, the children attending Star of Hope schools have received basic schooling, nutritious food, care and health care. Every day such services are provided. Aid has over the years consisted of support for community development that has improved the living conditions of thousands of children and adults in their immediate environments. Emergency relief has been given each year to large and small disasters worldwide. Aid has also changed the lives of tens of thousands of disabled children in Eastern Europe where we have purposefully worked to change the attitudes of individuals and the authorities. A world where children become educated, healthy adults who are involved in their communities and share their love of Jesus Christ. This document will not specify how we spread the word of Christ in each country as some countries, projects, and staff could be negatively affected by such a description. The reader may contact a local Star of Hope representative for specifics. Star of Hope's goal has been to assist the neediest, the least, the lost, and the forgotten. Of that group, children are simply most vulnerable, as are women who are often are the lone breadwinner in the poorest areas. Education is a way out of poverty and it strengthens their self-esteem. Therefore education with a focus on kindergartens and primary schools has been the main priority of Star of Hope's efforts. Advocacy to strengthen children's rights has been another important priority. The Millennium Development Goals have been important to Star of Hope's work since they arrived on the international agenda. Star of Hope is mirroring some of the MDG’s and thus working for; reducing the proportion of extremely poor and enable all children to attend school. To achieve such goals, it was important that the aid SOH (Star of Hope) provided would strengthen the local environment, the people, children the people on whom the children depend on. Star of Hope works local partners in all project countries. Here they work together with contacts from grassroots levels up to the governmental levels in the development of aid work and the analysis of needs and desired impact. Star of Hope has conducted incredible amounts of training; staff training, working with parents, villages and communities and local and state authorities. This is to ensure that the development process had a lasting impact on the children's daily lives and their future opportunities. As of 2016 no expat was working in country for Star of Hope and total staff of about 2500 was 100% national citizens in all 15 countries. While individual children have always been the primary focus, Star of Hope also works to strengthen children’s and women's rights, both in the local environment and nationally. This has been done through alliances in different networks and grassroots campaigns. In what organizational context has Star of hope functioned? Help them help themselves through local organizations. Operations began and formed in 1966, when four people decided to form the mission, the “Tent Mission”, one of these founders was Erik Gunnar Eriksson. There was no organization, no donors and no experience in operating in other parts of the world or at home. By consistently operating through national representatives in the receiving countries and emphasizing result-oriented work, TM (Tent mission) was able to achieve marked results in Brazil after just one a year. Great commitment and good results yielded many new supporters and resources to the Mission. Star of Hope focused on supporting local churches and groups who themselves had already started a non-profit organizations in their own country well before resources from abroad were added. This showed that they had their own vision and willingness to do something for their own people thus securing the way for future development. It ensured local ownership and responsibility, a key to the ongoing success of the SOH vision. Star of Hope partner organizations are not passive recipients of funds. All local Star of Hope organizations are responsible for the contact and the care of sponsors and donors together with the Star of Hope Mission.In addition the local partners are in charge of monitoring the development work, and keeping it well under control from day to day operations to the big four end of year audit. The local organizations that Star of Hope supports are for example; churches, village development councils, women’s groups etc. Groups that have a vested interest in doing good and improving the lives of their members and those around them. Star of Hope's vision to always work with the local population in each country initially came from the belief that those who can best help the children are their own countrymen; motivated countrymen were the best match for SOH. They can speak the language, know the culture and know what the needs are. In this way, Star of Hope can use every penny more effectively. The same demands have been put on the employees in the projects that the employees in the developed donor countries must adhere too. The indigenous organizations have their own boards of directors and make many of their own decisions. To strengthen the local partner organizations we have over the years brought much support for organizational development. This has made it possible for the recipients of the aid themselves to contribute to their own development; their capacity has grown as has their belief in themselves. This has, in turn, created a positive change in the whole society. Hope has been restored to their lives. Over the last several years, a structure has grown within the Star of Hope national organizations around the world. The organization coordinates supports and controls the operations of the local partners. There are 10 Star of Hope organizations, including 6 in the program countries Philippines, Kenya, Ghana, Haiti, Brazil and Romania. In other countries, we have not seen it necessary to form local Star of Hope organizations, in such countries we have other strong local organizations, which serve the same function. Finland after 14 years of involvement Finland decided to change their mission and vision and left the fold. Star of Hope International organizations and funding organizations are located in three countries. Norway, Star of Hope Foundation, Oslo. US, Star of Hope USA, Kansas. Brazil Star of Hope Brasil, with offices in Santos. Philippines Star of Hope Philippines Inc., with offices in Manila. Ghana Star of Hope Ghana, with offices in Accra. Haiti Star of Hope Haiti Foundation, with offices in Port Au Prince. Kenya Star of Hope International Foundation Limited, with offices in Mombasa. Romania Fundatia Star of Hope Romania, with offices in Iasi. What strategies have been used to achieve the objectives? This scripture has been a leading concept for Star of Hopes work since that day. It would focus on the smallest of the small, the most vulnerable, the poor, especially the children and their mothers, and the society that exists around the children. Over the years, developmental cooperation has grown. Since 1999, we worked from the target document, "Vision Children First 'which was adopted by the entire Star of Hope organization. With our “Vision Children First”. we have started to perfect our Organizational goals. With every project we completed, we build centralized plans for the future, asking the question “How will this impact the future of the Children?” When we start working with a local organization, these ideas and concepts are always kept at the forefront: (improving the lives of the children, and then, subsequently, their children). Star of Hope International has always put children as its primary focus. Children are not only a country's future; they are the whole world's future. Every child saved from misery, suffering, and distress is a victory for life, humanity and God. Investing in human resources through education, care, hope, and love, ultimately prevents poverty and furthers the development of that country. For a democratic society to function, educated people who can read, write and critically examine the information provided is of utmost importance. In each country, we need people who are convinced that all people are equal. Therefore, we considered it necessary to fight for everyone to have a decent life and more equitable access to the earth's resources. Star of Hope has been working to support and develop people so they can make a difference and develop their society. SOH helps to create opportunities, to give knowledge, to improve living conditions and finally, support people toward their own independence. Family is important for a child's opportunity to develop and grow into a mature, safe and harmonious person. The home is our first "school". The most important things in life are learned within the family unit. Star of Hope Organizations have worked to strengthen the role of the family in children's lives. Parents have been involved in various ways in the classroom. In many places, evening classes where the adults have the opportunity to learn to read and write are arranged. They have been taught the importance of good nutrition and simple health care. In many countries, it is the mother who is the sole breadwinner. Therefore much of our work has also focused on strengthening the role of women and increasing the opportunity for income generating activities. Star of Hope has also worked to improve the children's home environment: that there would be shelter, access to clean water and food on the table. Star of Hope has trained staff on projects, collaborating with village and the community where the children lived, and local and state authorities. This is to ensure that the development process had a lasting impact on the children's daily lives and their future prospects. All parts of society have been included in the work. Childhood is the time when body and mind are formed, values and personalities are developed, and even temporary losses of stability can cause life-long damage. The work has focused specifically on children aged 1-6 years in a deliberate and strategic direction of development. Ages 3-6 is critical for child development. It lays the foundation for mental and physical health. In this age, it is determined whether a child will be able to keep up with life's opportunities and challenges. Many children become deprived of this opportunity because they do not get their most basic need of nutritious food, clean water, health care, play and education. The poor rarely realize their full potential as citizens. Uneducated, it is difficult to take part in the structure of power or influence their community. Star of Hope has invested, especially in kindergartens, where the poorest children aged 3-6 years received nutritious food, health care, social services and education. Through small projects, under the leadership of national employees, the goal was to give the poorest children a future, to contribute to a change in the circumstances the children come from, so that they can eventually participate and influence their own community and country. School and education are inscribed as a natural right of the UN convention on children's rights. Yet it is far removed from reality. The Star of Hope has since worked to give children a basic education, school supplies, and nutritious food. In all countries where the Star of Hope is and has been engaged in, the focus has been on supporting children to conduct their primary education. In many countries it is said that the school is free, but charge small fees, or the children themselves must buy school supplies and uniforms. This is a cost the poor cannot afford. Here the Star of Hope sponsorship program brought children to the part. Some orphans have received support in public schools, and in many villages operates local organizations, schools fully supported and has been built by the Star of Hope. The Star of Hope has focused on giving children opportunities where they previously did not. This means, therefore, that most of the schools that have been built and supported are often found in villages far out in the countryside, in the mountains, in the areas where it is difficult to get staff, where it is difficult to get to and from, where before there were no development opportunities for children. In such areas, the population does not have the resources to build schools nor to equip them; the state certainly has not given priority to these areas. It is these under-developed areas in underdeveloped countries that Star of Hope has built schools to support the most vulnerable children. Schools have been built through financial contributions from SIDA, SMR, Radiohjälpen and private donors over the years. Support for school construction is important to provide children with a stimulating environment for learning, but there are costs that are not so easily attained such as pay for support staff needed to operate schools. Part of the Star of Hope's work has been conducted among children living on the street. Through this outreach, special schools, and support for families in the slums have worked to reintegrate the children into society. The lesson learned is that the most important measure of success for street children is to prevent them from ever ending up on the street in the first place. Preschool, community support and outreach are the answer. For the Star of Hope, it was important to emphasize that all children are of equal value, particularly for children with various disabilities. Star of Hope was the first aid organization to help disabled children in orphanages in Romania and Latvia, when they were discovered after the fall of the Dictator Ceausescu in 1989 and in Latvia in 1991. Here, work attitudes and training of staff, primarily through the transfer of knowledge through the years changed the methods these countries take care of their disabled children. Similar work has been done in Russia, Ukraine and Belarus since the 90's and more recently many years of work in China in the 2000s. Qualified assistance and, more importantly, training and rehabilitation have been continuously provided and we work to improve the quality of life for people with disabilities and their families. This goal integrates them into school first, and ultimately, into society. The children have learned to be more independent. They have received special education, training in how to live with their disabilities and, where needed, aids such as crutches and wheelchairs. The most important thing, in the long-term perspective, has been cooperation with the local and national authorities in each country to change attitudes towards the disabled. To assist children who experienced accidents or illnesses that produced major obstacles in everyday life, we started the “Saving Fund”. For many years, the fund went in and paid for medical care that could facilitate and significantly change the lives of the children who received the help. Hundreds of children in China with cleft lips received surgeries. Children with disabilities in Eastern Europe received needed surgeries to reduce pain or straighten deformed limbs. One of the major problems our world is and has been urbanization. Star of Hope has, through the years, worked to improve and develop the living conditions in rural areas and to reduce the exodus to the big cities. The most important thing has been to help people see their own resources and their own possibilities and find a way to meet their own needs. In practice, this has contributed to help village groups organize themselves and jointly plan and set goals for their development. This has resulted in Star of Hope helping to develop water and agricultural projects. SOH supports health programs, provides support to small groups for income-generating activities or, for example, given the resources and knowledge to the improvement of housing and roads. This took the form of “lending banks” for seeds and agricultural tools and expansion of their clean water supply. To find alternative livelihoods, we have completed craft courses and vocational courses. Many income-generating projects for women's groups have received support in different countries. It has always been each individual community who has identified their needs and also planned for the solutions they believe in. They themselves have been responsible for the projects with the support of our local employees. Good health is a prerequisite for human beings to cope with their daily lives. An important part of the Star of Hope assistance work has therefore been preventive health care. In some places, Star of Hope has built up and provided continuous support to health clinics. In other places, we have been providing support to local clinics and hospitals with medicines, medical equipment, medical materials, information, training, renovation and refurbishment of the premises. In addition, Star of hope has a mobile health clinic in Brazil that provides free checkups and health screenings. Every year, the world has been affected by disasters, both man-made and natural. Unfortunately, we cannot prevent disasters but we can assist those affected. By providing timely and efficient help, hundreds of thousands of people can be saved. The Star of Hope has over the years provided humanitarian assistance, particularly in countries where we already have a work in progress, but also many other countries. This has been the assistance to people affected by war or natural disasters. Every effort has been tailored to the needs that existed. Every time, we have engaged professionals with the knowledge needed for the situation. The distribution of emergency aid has been made through local partner organizations. With the guidance of The Code of Ethics: Code of Conduct, none should be discriminated against on grounds of religion, gender or ethnicity. Corruption is consistently thwarted by strict agreements and trusted oversight with our partners. By partnering with already known channels such as local aid organizations, churches, trade unions, embassies and government agencies, we quickly reached the victims. Efforts have been characterized by long-term thinking. Many of the projects Star of Hope supports today started with disaster response. Ever since its founding in 1966, The Tent Mission and subsequent formation of Star of Hope International in 1979, the organization has invested in advocacy. Star of Hope sees it as a must from both a financial and a moral point of view to carry out such activities. From an economic standpoint, it is this activity that makes it possible to help people engage in morally and ethically sound ways. We have a responsibility to share our knowledge and time with those less fortunate. Star of Hope's vision is that we want to change the way the world looks. We want to increase the resources, allocating them more equitably, creating a better world for every individual. We need to be engaged in the public debate and flow of information. Knowledge can powerfully influence people's attitudes about vulnerable populations. It is important to counteract apathy regarding human emergency and disasters in the world. Media reports about the disasters, but leaves people with the feeling of powerlessness that one can do nothing. But we can give people the opportunity to get involved, to do something and not passively accept what is happening in the world. We can create opinion and commitment to change the wrongs and alleviate suffering. We can also report on the positives in different countries and cultures, rather than just focus on the negative. A better world is not only a world with less suffering, but with less apathy as well. Star of Hope wants to promote healthy attitudes of our own children. We want to help create an early awareness of the outside world. The children of today are the leaders of tomorrow. It is our responsibility to equip our children for the task. Therefore, we have, from 1989 until today, produced and supplied school materials about conditions in poor countries and Eastern Europe to schools in the Nordic countries. The material has been used by millions both in Sweden and internationally. The measure now goes further than what can be measured as all the material is now available on the internet and anyone can use it and download it. What we have realized, is that it is used in countries throughout the world. The exhibition “Children of the same Earth” has been run since 2003, offering more than 90,000 students and teachers Field Trips. What capacity and know-how has Star of Hope gained over the years to achieve its goals? Organizational development has been much of Star of Hopes work in all partner countries for many years. Here we have actively worked with the education of adults through organizational development programs for our partners and staff for all projects. These are the key people to achieve our vision for the children. The International Conference, held in November 1999, represented a starting point for Star of Hope and all the partner organizations. We focused achieving the existing development goals, as well as address capacity development as we formulate future programs. A strategy was designed and a common vision strengthened, "Vision Children First". 120 participants from all countries of operation with all partners represented, worked for two weeks to share the experience gained over the years. In the years prior to the conference, we had made inquiries of all partner organizations. During the conference, we then tabulated common strengths and weaknesses and recorded lessons learned. We embraced a common vision and common goals. Looking back, we can see how these objectives are still being implemented in each country in their support projects. Work continues in the same spirit, always striving to develop and improve. How has Star of Hope worked to ensure progress? Monitoring and measuring the results of development and aid efforts is essential. Efficiency of programs is vital. We must ensure maximum benefit from the resources we have been entrusted to manage. We must also do the job in the best way possible for the recipients of aid. The organization is always in a dynamic, learning state. We have worked in the last 17 years to develop monitoring instruments ensuring our aid is going where it is earmarked to go. The decision to be a progressive, learning organization has been important step for Star of Hope and all it’s partners. By sharing experiences and knowledge of its members and partners, we have been able to develop working methods, policies, procedures and systems. In this way, we have continuously improved the ability to set and achieve goals, satisfy our donors, develop our work and fulfill our mission. Where is the economic viability and control? The backbone of Star of Hope's work has always been sponsors, donors and volunteers. It is this important base of resources who fund Star of Hope's extensive programs, giving aid to children in more than 250 kindergartens, nurseries, schools and orphanages every day throughout the years. In addition, we have also received large contributions from SIDA, SMR, Radiohjälpen and a few private donors who helped us to implement major initiatives in both humanitarian disaster relief and long-term development. Large and small projects include organizational development, rehabilitation after disasters, attitude change and Rehabilitation of the Disabled, construction of schools, teacher training, construction of clinics, agricultural projects, water and well projects, community development programs and support to women's groups to run their own businesses. Since 1979, Star of Hope has been the holder of a "90-account"; controlled postal and bank accounts, which is awarded by the Swedish Fundraising Control. Swedish Fundraising Control regularly checks that the organization complies with the rules that apply to serious collection. The main principle of the SFC is to ensure that a minimum of 75% of raised money ends up being used to facilitate Development and aid programs. Star of Hope is audited by KPMG, Chartered accountancy firm. Even in the recipient countries bank accounts and funds are examined by authorized accountants. Over the years, the Star of Hope traded assistance through both financial resources, and also in large quantities of equipment and human resources. The work has spanned four continents and numerous countries. Argentina (1974 ongoing), Brazil (1966 ongoing), Bulgaria (1996), Colombia (1985), Philippines (1981 ongoing), Ghana (1981 ongoing), Haiti (1978 ongoing), Israel / Palestine (1965 and 2006-2010) , Kenya (1971 ongoing), China (1998-2013), Latvia (1991 ongoing), Trinidad (1985 ongoing), Romania (1989 ongoing), Russia (1990 ongoing), Rwanda (1994), Ukraine (1989 ongoing), Belarus (1994 ongoing). Before the 1986 disaster, there were approximately 3-4 children from Chernobyl area who contracted cancer each year. After the horrendous accident, 60-70 children per year contracted thyroid cancer. Even children born after 1986 were affected. Every year from 1994 to 2000 hundreds of children were operated in a gross and horrendous fashion albeit lifesaving, many were able to follow up with clean environments for rehabilitation in Sweden, Finland and Germany and Star of Hope. When Star of Hope organized rehabilitation camps for children from the danger zone around Chernobyl, we included children from Ukraine, Belarus and Russia. For many years following the disaster many children came to Sweden and other places to stay in a healthy, clean environment. Also the children could eat nutritious food, fruit and vegetables, things that were not a certain part of their diet before. These camps helped to strengthen children's immune systems and they then could regain some of the hope and joy in their young lives. Large amounts of medical equipment and medicines were procured, donated and delivered to hospitals and victims in Ukraine, Belarus, Estonia and Russia. The children were affected in many different ways. Some received care in a hospital in Gomel, Belarus, about 7 km from Chernobyl. At the hospital there was room for 500 children. Many of the children had cancer or other diseases related to radiation. To ensure that the children would get good care, we renovated and equipped the hospital. Through the years, more than 40 large trucks with medical equipment, food, bedding and clothing were donated and transported. Scope of work done in this time period can be divided into four parts. 1) The years 1990-1992 were a total of 10 shipments with 80 cubic meters of assistance. Each transport contained handicap equipment, medical equipment, hospital beds, clothes, shoes, food and basic goods. Each transport was valued at $250,00 - a total of $2.5 million in goods total. In 1992 Star of Hope also sent 15 shipments of food packages. Each transport contained 920 food parcels á about 25 kilos, a total of 345 000 kg. Each transport cost $20,000 including shipping. 2) We organized rehabilitation camps for Chernobyl children in Sweden, Finland and Norway from 1994 to 2000. About 600 children participated each year in recreational camps. 3) Camp in Hallsberg, Sweden in 2007, a total of 120 children per year. 4) Camp in Ukraine, a total of 1 300 children, of which the Star of Hope paid for 100 children. During a visit to Kiev by doctors Bengt Granestrand conducted an inventory of medical equipment at the clinic. He found the equipment used to stop bleeding after the thyroid removal often led to paralysis! Then doctors from Ukraine came to Sweden for training under Bengt Granstrands supervision. Star of Hope bought a KA-COMP, diathermy machine (price $80,000), which provided a tool that meant that the bleeding could be stopped without risking paralysis. Moreover SOH donated and shipped surgery glasses and a variety of surgical instruments adapted for thyroid surgery. The Institute had previously used surgical instruments tailored to abdominal surgery, who had given the children scars on the children's necks. Over the years the work in this area was expanded, the Chernobyl children soon included children from Russia. These children had not yet been affected by thyroid cancer, but had started to develop it. These children presented from the regions adjacent to Chernobyl. Blagovest, a cooperative organization with headquarters in Moscow had wrangled the support of the Russian authorities to fly the children to Sweden, where Star of Hope took over responsibility at the before mentioned camps. These children however needed more than help for their body since all came from terrible social conditions, discouragement, illness and poverty. Unemployment, alcoholism and misery was simply a huge part of their everyday lives. Star of Hope remembers a huge relief effort for the Kurdish refugees in Kurdistan. The truth was unknown. Through back channels we found out that atrocities were being committed by Saddam Hussein's regime. We had to help the suffering Kurds who were forced out of their homeland of thousands of years. We decided to take the items most needed and requested by the red crescent organization in Turkey. So six fully loaded trucks with tents, clothing, blankets, kerosene stoves and other supplies to a value of nearly $1.2 million, was successfully delivered all the way to the Kurdish refugees in camps in Turkey. This was a harrowing and, at times, dangerous task, but God protected the team. The Star of Hope has been active in Romania for more than 25 years since the fall of communism in 1989, and has over the years worked primarily with organizational structural changes regarding children with disabilities. Star of Hope was the first organization to assist the institutions, we found the children hidden away in institutions in Romania, just before Christmas 1989. The children lived in terrible conditions and many were tied to their beds and the images were sent across the globe. During communist times, children with disabilities in Romania were deemed not able to be rehabilitated." Since the revolution in 1989, the Star of Hope has given continuous support to Romania's disabled children. The work has consisted of material assistance in the large number of years, and hand in hand we have been working to change the attitudes of decision makers. The work has consisted of training and education in the form of support from the Nordic occupational therapists, physical therapists and special education teachers. In addition, the Star of Hope trained their own teachers and preschool teachers who worked, in addition to the rest of the staff, several of the state institutions. First and foremost, we worked for a tolerable life for the children in orphanages and then training of staff. The next step was that the children would return to their biological families, and if unattainable then foster families were sought. In 1998, in the wake of a new law that made it impossible for foreign organizations to operate in Romania without domestic partners, we formed Star of Hope Romania and operations were continued by the Romanian subsidiary organization. 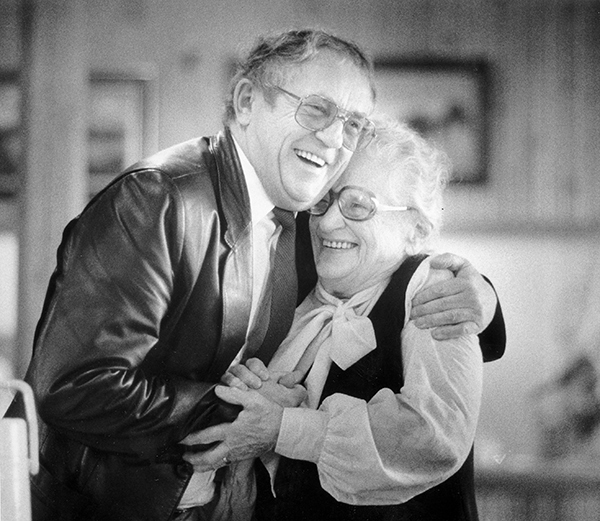 In the year 2000 Star of Hope's founder, Erik Gunnar Eriksson was awarded Romania's highest civilian award, the "Star of Romania" and a knightly title of the fifth and highest level of the work for the disabled in the country. In 2002 the Romanian government asked Star of Hope Romania to assist in the formulation of a national strategy to deal with institutional problems in the country, where children with disabilities are largely separated from their families. In 2013 Star of Hope's current Development director, Lennart Eriksson receive the same award as his father Erik Gunnar; "Star of Romania" in the fifth and highest level with their knightly title, in recognition of many years of work in Romania. 25 years of successful operations has given the Star of Hope is a unique voice in Romania; a voice that authorities, nonprofits, and citizens are listening to. Thus, the organization has also great opportunities to step into today's pressing Roma issue and mobilize the forces of change work. Many Roma have already been helped by the Star of Hope during the past 25 years, but then not as Roma but in the role of parents of children with disabilities. The work Star of Hope conducted for children with disabilities is also very similar to the work conducted in the Roma population. In both cases, it is basically focused on lobbying to get the Romanian rulers to take responsibility for their own people. In 1991, Star of Hope was informed of the Latvian institutional children. The experience obtained, after almost two years of work in Romania, was the basis for a comprehensive effort. Work has been ongoing since then and in Latvia has been a revolution of change brought about in attitudes towards children with disabilities in institutions and in the community. Education and knowledge-transfer together with tools, equipment and modernization have created changes at all levels of society. One partner said "The Soviet state was our principal; our mission was the storage of children with disabilities. We were seven staff for 300 children. I have always felt for the children, and tried to work with my staff. But what could seven people accomplish when we would take care of more than 300 children? It was difficult to retain staff. National policy was that institutions were to be closed as opposed to opening additional institutions; no one in the community knew what to do. We went to Russia and Moscow and, there, conditions were worse. We thought we did well in Latvia. I was very angry when the first pictures from the orphanage in Latvia were shown on western TV. I thought, at Baldone we do not treat children that way. No journalist was allowed to come inside the doors for six months after that. But one thing I will admit, I and no one else, either, had any idea that these children could develop. " It is Aina Vica, Director of the Department Baldone in Latvia, which tells. She had been in charge of the orphanage for 16 years before the Star of Hope came in contact with them. These words she said in 2001, 10 years later. The situation before and after could not be compared. Memories of children's homes in Latvia seen for the first time can never be erased. Seeing the naked children in cold basements, without clothes or perhaps just in a filthy sweater or children tied in straitjackets; always bedridden. Children who never felt the fresh air or seen blue sky, images that burn. Today, you have to wonder if former conditions and stories were true as it lies in stark contrast. It is full of life and joy. The children are up and running, playing, creating, singing, dancing, perform, and just be themselves. Everywhere it's activities! The homes are cozy with beautiful colors, decorations created by the children and staff. In small groups, the children's attention by trained personnel who know what children need and work with their individual development. What happened in Latvia is no less than a human revolution, a revolution in human vindication, and restored dignity to those who were robbed of their dignity. Those with disabilities were not visible. They were not worth a life, either in their family or in society. Now, of course, all is changed, and witnessed in changed lives. "Since we began working with Star of Hope, everything has changed," continued Aina. "The laws of the country changed, thanks to Star of Hope pushing the policymakers and politicians. It started with the heater boiler in Baldone. Star of Hope set as a requirement that the staff would be increased, that we should focus on putting in new heating system. The authorities agreed to this and we were able to prove that it meant a huge change. It became a model for other institutions in the country. It started with care and hope, perhaps just love." Aina told me about when she first began to realize that these children could develop. She says it was perhaps sometime in 1993. Then she had come on field trips to Sweden and England. She decided to try to do something similar in Baldone and slowly started to change some things and work with the staff with change management. Star of Hope continued to provide material assistance throughout the 90's, but most importantly it should be known that staff training and international knowledge transfer were the pinnacle of our partnerships. We trained and bilaterally trained to ensure the staff will be the key to the changes in the children. Each year there have been seminars for everyone who worked with the children, without training one would never be allowed to come in contact with the children, all were involved to ensure the adherence of the rights of the children. Over the years transfer of new knowledge continued. Most were visited by trained therapists and special educators who have worked side by side with the staff and been in both models. In this way, we have been able to change attitudes, provide knowledge and understanding of different disabilities and how to work with the children's development and education. Day centers and group homes have been built, equipped and supported to be driven with the above mandates as well. Vocational training for young people have been given so they can support themselves by working. As late as 2001, 10 years after the disabled children were discovered, there was still no other training in the country other than that provided by Star of Hope. The work has continued and still continues today. Today it looks like a huge revolution has taken place, but for those who every day had and are involved in the work, it has felt like tiny steps forward day by day. It has been a hard and persistent work, a willingness to never give up, no matter how dark it may have seemed. Latvia's work for the disabled is an example of cooperation to assist and develop. There are so many who contributed. Donors, staff, institutions themselves, different organizations and volunteers who provided material assistance. Staff took time off from their jobs in the US, Sweden and other countries and then worked with Star of Hope in our training programs with the Latvian authorities and our loyal employees in Latvia. Yes, there are so many who have contributed to that progress and today we can say that our slogan is true: Star of Hope makes a difference! Through searching and networking with partners, work has progressed. Training today has transformed an entire country's attitudes and ways of working with this “invisible” group of children. The group that had no value and who were of a strange status of “non-people”, unable to be rehabilitated or productive. These, who were deemed as having little or no intrinsic value or no value to society, were changed! Through all the support from various quarters, the disabled in Latvia today live valuable lives. Everyone can see that they are valuable people who can find their place in society. Star of Hope started with support to orphanages in Belarus during the 90's. The same misery that existed in Romania and Latvia were also widespread in Belarus. Belarus was the poorest country in Eastern Europe and the need for action was very large. In Belarus, Star of Hope has been again making history. Rehabilitation of disabled children was not evident in this country at all but through our efforts, we have been involved and revolutionized the situation in Belarus. Work similar to Latvia involving training local employees in Community Based Rehabilitation has been going on for many years. The country's transformation in their attitude toward children with disabilities was changed here as well. In the spring of 1991, Star of Hope sent aid shipments to the former forbidden city of Gorky, now called Nizhny Novgorod, where valuable contacts were made for future actions. This was the beginning of many consignments of food parcels which were distributed to hungry families in the former Soviet empire. The work was developed into many years of training for both parents and staff in the country for the betterment of children with disabilities. For many years in the 90's Star of Hope held assistance interventions with emergency stock of tents, blankets, canned food, medicines. On short notice we could send out to the disaster-stricken areas from our staging warehouses. Likewise, we collected clothes sorted, packed and pressed them into bales. There was clothing for all temperatures and for both adults and children, which is also needed in emergency situations. One year we sent over 200 containers of relief goods to different countries all in a 12 month period. It was this aid workshop that made it possible to send trucks to Eastern European countries several times a month. It was also thanks to this assistance workshop that hundreds of thousands of Kurdish refugees were assisted with tents, food, medicine and other necessities when in the spring of 1991 were displaced by the Iraqi Army. And it was thanks to this assistance workshop that the Star of Hope was able to assist Eastern European with disabilities and medical materials. In 1994 there took place a comprehensive genocide in the central African state of Rwanda. Approximately one million people were killed and over two million fled. People from the ethnic group known as Tutsis were murdered by people belonging to the ethnic group known as Hutus. During the 10 years after the genocide in Rwanda assisted the Star of Hope orphaned children by orphanage Hope and Care Rwanda. The orphanage was founded by Sarah Townsend Aula in November 1994. Everything started with the number of orphans who came to the orphanage grew and as a result started home to look for help from local and international donors, and here came the Star of Hope Rescue and continued for 10 years to a day to support the home and all children there with food, clothing, health, education, personnel costs and the renovation of the home. One of the girls who got a home here was Clarissa Uwitzone. Today she is a trained lawyer. Here she tells us a little of what home meant to her. "During the genocide, I lost my parents, several of my sisters and brothers and many relatives. I lived with my three younger sisters and I were 11 years old. The youngest sister was barely 9 months. It was a difficult time for me. But with God's help, we came to the Hope and Care orphanage and received care and a home. We stayed there with many children from 1994 to 1998. After that, the authorities decided that all children who had relatives were to be reunited with them. But we had no family at all so we were left at the orphanage until 2003, when the home was closed but we had to stay there until 2006. I and my siblings stayed together and I have educated myself and today has a university degree in law. Now I'm married and have children of my own. So I want to say to everyone who worked with Star of Hope that we are extremely grateful for your support." In 2004 when a mass return began, Star of Hope teamed up with the WHO and provided a team of 5 nurses and our development director worked in country almost 3 months coordinating Nurses and support within the violent ridden Rwanda and at times in Congo. Since 1972, the Star of Hope worked among the Indians in the Chaco Province in northern Argentina. Our partner headed by Kenth and Alba Kenth Johansson and the organization El Buen Pastor has tirelessly work carried out to strengthen the Indians' position in society. Over the years, thousands of children were educated in kindergartens, primary schools and vocational schools. Many have gone on to higher education and this work continues. The aim has been to give the Indians the status that gives them the same rights as all other Argentinian citizens. Families also receive regular nutritional supplements in the form of food parcels. In cooperation with the authorities, schools, rapids schools, clinics and villages with houses built. Water has been and sanitary conditions improved. Agricultural education, vocational training, training with gardens and vegetable gardens, cooking classes, sewing classes and handicraft courses have been conducted. Many people have received help and seed grants, older youths have been given the opportunity to continue studying at higher education. A dispensary in Indian village Nam Qom has been run in collaboration with the local health authorities, where simpler care, vaccinations and preventive health care is taught and given, all in a community development mode of operation. Water supplies with 133 taps connected to the Indian reservation has been organized and this water project was a instrumental boost for Indian health situation in Chaco province. In competition with over 2300 organizations became El Buen Pastor, 2011 nominated as one of the top ten relief organizations in the Chaco Province in northern Argentina. Award ceremony was held in Resistencia by the Ministry of Social Development and Human Rights. Star of Hope's work in China began as a disaster response in 1998 when 240 million people lost their homes and belongings mostly due to flooding. Star of Hope was the first foreign organization to gain access to the affected areas and then also the first to assist. Star of Hope supported some of the affected provinces across the country by building schools and equipping them and training teachers. These efforts opened the doors to a long-term cooperation for the vulnerable throughout China. Orphans, street children, abandoned children in foster families have been supported with equipment, medical supplies and school fees. Great efforts have been made to create the conditions so that children with disabilities and their families can obtain a richer life. Some 30 schools have been built in many provinces including minorities areas and that we have given support to orphans and poor children in families with payment of school fees. We have implemented major programs for teacher education programs in many provinces and territories for many years. We also paid for the operations of more than 100 children with cleft palate. A small example of the quantitative effects can be given from the last period of teacher training in China. In the years since 1998, the training of teachers was carried out in many provinces. The last period lasted from 2009-2011 when the teachers in the provinces of Heilongjiang, Jiangxi and Hunan, including one-third of school leaders received intensive and extensive training at five training sessions. These completed secondary education in accordance with the instructions of the provincial education department and Charity Federation, Star of Hope partners. In Hunan 360 key teachers of primary education and they gave 8698 teachers of secondary education and 400 168 students were trained due to the program.by this. In Heilongjiang received 360 key teachers including headmasters main education and knowledge spread to 7 000 teachers. 280 000 students benefited directly. In Jiangxi received 360 key teachers of primary education and completed secondary education for 9362 teachers. This directly benefited 468,109 students. Over a million students benefited “directly”! Through the years after 1998, more than 100 000 teachers received training. The courses have had many effects. 1) Attitude: Many teachers got tired of teaching in the poor areas and wanted to leave their posts before training. After they realized the importance of being a teacher and receiving training for their personal development in their professional areas they have become more focused on teaching better and have decided to learn more and get new knowledge for their professional and personal life. 2) Change in teaching concepts and methods: The teacher changed his or her role from lecturer to the instructor to guide and partner for the students, also from teaching to only impart knowledge to teaching students how to study and learn more in groups and as Individuals. With the adoption of interaction, independent study, cooperation and mutual exploration, students become more interested in studying. 3) Changes in educational administration: Pupils study was previously led by the teaches and now a transition from the leadership of the teachers to the authority and the students and teachers has transpired and the responsibility of students themselves taken place. the students personal role in their own development has grown. 4) The attitude of students towards the study: Many students did not know for whose cause they came to the school and they were passive in the studies. The introduction of the new concept and methods of teaching have meant that students had great interest to their studies and their initiative was important. Thus, the quality of education in the poor areas improved significantly. Teacher education has affected the authorities at various levels. They now give more attention and support to the school and the education of both students and teachers in poor areas. In some areas, the local decision makers have introduced the concept of free education for teachers from the poor areas. The programs supported by the Star of Hope has had extensive curriculum while training. The local authorities before had only a sparse one item curriculum in training before. They have now seen that teachers from the poor areas are in need of extensive training. The administrators have seen that the teachers, in the poor areas are quite capable of learning at an accelerated pace. The project has thus enlightened the local school authorities. Star of Hope training Move teachers in China as also addressed the issue of the environment, children's rights and HIV / AIDS included. Heilongjiang Charity Federation decided to continue the trainings in the remaining eight regions in collaboration with the local school authorities. Charity Federation in Jiangxi continued to support the education department of the province of teacher training for teachers from poor areas in 43 counties every year that the project had not reached the themes of HIV / AIDS, the environment, children's rights and to provide education to children from migrant families. Hunan Charity Federation has itself continued to offer support to the provincial education authority. Although the authorities have included secondary education in their future training programs and taken into development issues HIV / AIDS, environment and children's rights in future trainings. As early as 1978 Star of Hope's work began in Haiti and we started channeling support to various social projects aimed at children. 1989 Star of Hope Haiti was founded to coordinate the efforts made around the country; here as in most all Star of Hope projects local church partners and village committees would all be stakeholders for activities. Star of Hope Haiti is led by a Board of Directors and is headquartered in Port-au-Prince. From here the administration and monitoring of the various projects carried out year after year. Most projects are in very remote areas. Training programs, community development initiatives, humanitarian assistance and rehabilitation after natural disasters for thousands of children and their families is funded from the Star of Hope. With the child in the center of activities, Star of Hope prioritized the following initiatives: School education of children and young people, training of teachers, school buildings, agricultural projects, water projects, vocational training, agricultural support tools banks, seed banks and livestock projects through donations of goats and chickens. Every year, daily between 6-7000 children joined in schools in the country with the support of the Star of Hope. And everyone in their families and villages have been reached by community development programs. In Haiti, Star of Hope through the years worked with some 20 local communities. Families have always been an important part of the development efforts in the local community. Without their participation we had not been able to implement the measures. Thanks to the support the families we have been able to remain in the countryside and not to leave for larger cities and end up in the slums. Urbanization is one of the biggest problems where poor families and their children end up in misery in the larger urban slums. The projects supported by Star of Hope have been carried out in close cooperation with local authorities. Kindergartens and schools have been run by village committees or churches but have always been under the supervision of the Education Ministry and followed the national curriculum. The school projects run by Star of Hope always have close contact with all the different parts of the local community as the village population, churches, village groups, agricultural cooperatives and municipalities. In this way, the Star of Hope has been able to influence at local and national level for children in Haiti by almost 40 years. Annually, the country has been hit by natural disasters such as floods and hurricanes. Star of Hope has tirelessly conducted humanitarian missions, restoration, rebuilding and rehabilitation. In 2010 the worst disaster ever for Haiti hit the island hard, the terrible earthquake struck and destroyed much of Haiti. Star of Hope was the only Swedish organization active in the country and undertook major humanitarian operations. Afterwards, all 7 schools were either rebuilt or repaired. Three new Churches were built as well; the last was finished in 2015. Post-earthquake over 10 million dollars were sent, used and accounted for by Star of Hope. New partners during this disaster included USAID, UN, SIDA and the US marine corp.
Star of Hope's work in Trinidad began in 1986 in Maloney Gardens by a woman named Naomi Reid. Work began in her home when she saw so many kids who in principle were street children. Unemployment was very high and the odd jobs that were there were not very well paid. Most of the area's child population was illiterate. They were completely outside society. They were not even registered with the authorities and there were no papers showing that they existed. Many supported themselves on drug trafficking, prostitution and crime. This tremendous misery plagued the children at early ages and many were forced to help support their families. Already at the age of four children began as beggars and many continued to sell drugs or even their bodies. Many children were drug addicts even at ten or eleven years of age. As a small oasis in the midst of this misery Star of Hope’s work there was born and has been active since then. Several hundred pre-school children annually are supported with; pre-school education, food, healthcare and support to families. This has given the children a foundation in early life and helped them to primary education. The contact with the Star of Hope Trinidad has continued for the children and families even after they leave the nursery schools as an aid in everyday life. Star of Hope has also worked with the training of teachers and parents, have been contacted creators and helped towards local and state authorities. Star of Hope's work in Kenya started in 1984. When we started working in Kenya about 80% of Kenya's labor was in agriculture. Because of drought, poor agricultural practices and the high population growth, Kenya has experienced a quick migration from rural to urban areas. This has greatly increased the level of street children and people living in poor conditions in slums in most cities. Unemployment and poor management of available resources has also affected the lives of many children and women. Other reasons include; neglect and inability of parents and authorities to provide the basic needs and rights of children. The crumbling social and political structure of society, values and norms, the separation of powers, very large families and the devastating effects of AIDS that left amounts of orphaned and destitute as well as a national primary education policy that makes the formal education generally inaccessible to low-income people. All this has been a problem in Kenya that has resulted in tremendous poverty. In response to these problems Star of Hope starting in 1984 has helped thousands of children to become educated and to fulfill their basic rights and develop their potential as human beings. They have also been helped to develop their potential to become good citizens in their communities by helping families to improve their standard of living today and for the future. Assistance has been conducted in the major slums of Mombasa and Nairobi, where a number of kindergartens and schools have been built. Even in rural areas where children had no educational opportunity by state schools Star of Hope worked to give education there and in different provinces of the country. The main activity has been done through support to children and young people in nursery schools, kindergartens, primary schools and vocational schools. The work has always been carried out in close cooperation with the authorities, which has given assurance that our projects are also under the government curriculum. Organizational development and training of staff, teachers and even parents have been continuously implemented. Star of Hope, over the years has been able to help thousands of disadvantaged children through education and combating illiteracy. Street children have received training and have been able to gain a livelihood through self-employment. Star of Hope has built kindergartens and primary schools in Kenya. Organization Development programs have included the training of boards, principals, teachers and all the staff of the partner organizations there. Teacher training has been part of the capacity building programs. Training has been provided to all how to pedagogically work with preschool children. Seminars and workshops were conducted in 1998 and 1999, 2008. The focus was also placed on the Child and children's rights. Successful workshops have been held with the teachers and parents for making local training material, and the quality of education has been through this improved significantly. Teachers and leaders have seen the importance of teaching aids and materials. School libraries have been established to give children access to books, to further develop their skills and understanding and desire to learn. This has been a direct result and continuation of capacity building and development of the local partners implemented. Over the years, we have assisted in countless natural disasters and refugee disasters. The Star of Hope has been operating in Ghana since 1983. 1998 registered the Star of Hope Ghana, a local NGO. In Ghana, we have over the years provided support to pre-school education in a large number of villages. The first years of life are the most crucial. It shapes us for the rest of their lives. It is therefore important to offer the smallest the most important thing in life, love, care, nutritious food and health care. When Star of Hope began its work in the country many children before the age of four years died as a result of starvation, the wrong nutrition and lack of basic health care. The children also followed the mothers to the work fields instead of going to school. The preschool was therefore a relief and help for the mothers. They did not bring their children to work or the field, they could safely leave them to the teachers at the school. In Ghana, CHILDREN Start in primary school when they are seven years old, but to get into and secure a place you must have had nursery school and taken a entrance exam when you're six years. Children in poor villages and areas do not have these opportunities as preschool costs money and one must procure all the school supplies themselves. So the establishment and operation of kindergartens have therefore been vital to give children a chance to enter primary school at age seven. Through the years, day nurseries across the country received support and facilities have been built and equipped. Thousands of children have been in nursery school every day for years, this is a main thrust of our role there to usher the otherwise unallowed to get into the school system. Even primary schools and agricultural projects have been supported. Additionally, we have established and equipped clinics, renovated government schools and built 100's of water wells, water cisterns, collection devices and several large dams in the north, where it is almost desert much of the year. Considerable resources were put in the extreme poor areas in the north of the country in 1997, in the district Bolgatanga when they were hit by severe drought and the harvest had been 100% loss, devastating and life-threatening for subsistence farmers and families, hence a quarter of a million people starved. The children were severely malnourished and clinics would help only the most affected and had only chicken feed to offer. The first step in the work meant emergency disaster relief. Nutritional supplements, vitamins, food, water, medicines and medical treatment were sent to the area. It was prepared at the same time a long-term development program to avoid in the future similar famine. Functioning water systems and dams were built. The dams collected rainwater during the rainy season. Most of the work was done by the people themselves. In order not to be completely dependent on the harvest and to get an income during droughts, women were given training in small businesses with small loans or micro-financed at the completion of training so they could start up their own business. It was hugely successful projects that gave many women a greater opportunity to provide for their children. As a result of the disaster our pre-schools closed and many of the children defaulted to work crushing stones for large construction companies in exchange for a meal. Girls were also at risk to be married off for a cow or two for the family's survival. Here Star of Hope went in again with new vigor and financing and paid 120 preschool teachers and funded a child food programs for schools in the area. That way the kids got back to school and thousands of children were given in this way future opportunities in the area year after year since. Star of Hope has over the years also equipped a large number of government pre-and primary schools with furniture and school supplies in addition to the schools they built and continue to maintain and operate. Many community development projects have been implemented and the support given to local women's groups to start and conduct businesses. For several years, organizational development and capacity building has been a standing theme and leaders and teachers have been trained in areas such as administration, education, children's rights, finance, fundraising and other income-generating activities. One of the largest single projects in Ghana has been the compilation of pre-school school books for the education of the country's pre-school teachers. Also, the training to teachers across the country in collaboration with the Ministry of Education in Ghana was carried out during the years 1998 to 2003. We also equipped resource center and model pre-schools where teachers could get inspiration and help. It was an honor, said one staff member to be so trusted in the development of the country's text materials. We carried out training of resource persons from the National Preschool Teachers Training Centre in Accra and representatives of GES. 120 regional and district coordinator for kindergartens received three courses of about one month and two weeks. Their pedagogical skills were increased, so they in turn could train teachers for them. These coordinators conducted training for all teachers in the Star of Hope sponsored nursery schools and then in public kindergartens. Star of Hope schools received and trained about 900 teachers, including also parent community groups for education. Thousands across Ghana worked through this program educational preschool education and access to materials themselves and to work with children through books; this was groundbreaking.. Also, schools to demonstrate this methodology were established in Bolgatanga, GESDI, Ajumako and GNCM in Accra. A Resource Center has established at the state GESDI and the Star of Hope Preschool in central Bolgatanga. Parents and teachers in all kindergartens were trained to produce their own school supplies using local resources and also to use the materials, not actually mutually inclusive. This gave all teachers a better possibility of teaching and the children better opportunities for learning and development. Star of Hope and Ghana published in 1999 a handbook for kindergarten teachers and 12 books for the education of preschool children in Ghana. A total of 499 copies of the manual and 4,999 copies each of the 12 books for children were printed. 2001 planned for a new edition which was ready for distribution in 2003, this time in an edition of 5000 of each book. This was the very first educational materials for pre-school teachers in Ghana!. Star of Hope's work in the Philippines began in 1981. We began to support children in some of the dumps located outside the capital Manila where thousands of families lived with their children. Every day children were Scratching at the dump sites, these are not small dump sites move in what is a huge City we're talking about mountains and mountains of trash.The children look basically for combustible material and plastics or metal. The plastic, metal and cardboard children found they sold then to recycling factories. The children had to work many hours every day and sometimes long into the night to get enough money. Still, it was enough if they earned enough for food for the day. Clothing, toys and schooling were items that these children most likely never dreamed of or considered having access to. Star of Hope wanted their children to have the same chance for a good education like any other because it is the basis of a changing a life. Star of Hope built a school in the vicinity of the dump named Smokey Mountain, this school was named Star of Hope Christian School. The work of building schools and supporting children's education has continued throughout the years. Thousands and thousands of children have been educated, one of landfills closed after years of pressure from Star of Hope and they continue to serve the children in this poor area. Star of Hope Philippines was registered in 1987 as an NGO in the Philippines. The purpose of the organization is to ensure that children from the poorest areas have the opportunity to education and society at large is also included as part of the purpose of the organization. 1988 opened the Star of Hope Elementary School in the poor area Taytay outside Manila and in 1997 opened a school. More schools have been built and now we also offer secondary and further education at university. The leader of the Star of Hope Philippines is a trained lawyer, in order to assist the poor in legal matters as well. .
As an example of the impact of development assistance in the Philippines, we can highlight the Star of Hope Christian School Inc., which works as a catalyst for change and development of poor families and their children in the area Taytay. One mission and one goal is to break the cycle of ignorance and poverty, especially among the poor and vulnerable children through education. Since 1989, more than 80 000 children studied at Star of Hope School and more than 11,500 graduates in both the primary and secondary school. Thousands have also gone on to college and earned a degree and now have different professions, their professional activity in turn helps their families on different levels. From around 300 families in the beginning, is now more than 6,000 families that surround the school and the migration is still increasing. Star of Hope Philippines is also very active in disaster relief in the Philippines. Philippines are annually exposed to typhoons, which are often devastating. The Star of Hope has since helped many affected people with food, clothing, shelter and rehabilitation. Star of Hope Christian School has often turned into a rescue center where families can come and stay for a while. In 2008 was a huge typhoon and subsequent landslides followed, 1300 dead and Star of Hope built almost 500 homes and jump-started small villages with schools and microfinance. It was in Brazil that Star of Hope was born. The year was 1969, and the evangelist Erik-Gunnar Eriksson visited Brazil for the first time. He was in a slum area in northern Brazil when a woman put a sick child in his arms and asked him to pray for the child. Back home in Sweden Erik Gunnar decided to do something to help children in need to find a better future. Thus Star of Hope was born. The first project was a orphanage which then gave its name to the whole international organization that has since helped vulnerable people across the globe. In 1970 Star of Hope founded the local organization "Estrela da Esperança", which for three decades now has worked to give underprivileged children a better future. Thousands of children and their families throughout Brazil has since achieved more dignified living conditions, received assistance to education and health care, and today live independent lives and can give back to the communities they live in. Village development projects have been implemented and support to agriculture and vocational training has been given. In 2003 Star of Hope Brazil had developed the capacity to develop and cooperate with local authorities and the adaptation to their requirements for giving educational and other assistance. This developed the work enormously, especially in the areas surrounding São Paulo. One effect was how the country's school system approved a partnership with Star of Hope after several years of paperwork and constant meetings with the authorities. The first kindergarten in which the municipality is responsible for 95% of the costs to run opened its doors in 2007. Since then six more kindergartens have seen the light and more than 2000 children participate every day at Star of Hope preschools. The work has helped authorities see what can be achieved and it has changed some of its policies to ensure children's needs. Brazil is a country frequently hit by natural disasters such as droughts, floods and countless Interventions have been made over the years to assist affected. Star of Hope has been active in Colombia since 1985. The work began as an emergency response following the volcanic eruption in Armero and was done in cooperation with the local organization CIREC, a rehabilitation center that was started in 1976 by the physiotherapist Jeanette Perry DaSaravia and specialized in prosthetics. Most of the victims from Armero had no financial means to pay the expenses for reconstructive surgery for prosthetic implants because there was universal health insurance in Colombia. If a person needed hospital bed, the bed and the operation would be free but materials for the operation was the patient's responsibility. The victims from Armero had only their life, everything else they had lost thus they could not afford to pay any material costs. The contact with Jeanette Perry was the start of a partnership, and it has led to CIREC becoming one of South America's most modern rehabilitation center for the manufacture and fitting of prostheses. When the partnership began, there were production in a tiny room in the Catholic Church. There were only a few simple tools to manufacture the protests. With contributions from the Star of Hope they moved the small prosthesis workshop to a much larger location and then built a new center for the disabled, still under the name CIREC. Grants from international governments helped tremendously. Modern equipment was purchased to manufacture prosthetic and a walking School. The staff was trained by Swedish and American doctors and orthopedic surgeons. These International visitors created a capacity transfer that was a great boost for the organization. Over the years we have developed many services like transport for patients, sponsorship of victims of other natural disasters, special programs for children, victims of wars and mining accidents. We have helped with equipment of Cad Cam and laser imaging as well as hydrotherapy and Ludic department assistance, all within the framework of an integrated rehabilitation program focused on a the whole person.. Initially CIREC offered treatment to a specific audience, adults with amputations below the knee even more precise the breadwinner, working-age men who needed to work to support their families. Over the years demand for services increased mostly due to 688 villages and surrounding areas being smothered with unexploded mines. Now CIREC has a program with open doors to a broad audience and offer rehabilitation to all types of disabled patients with physical disabilities in their muscles and bones regardless of age, gender, color, religion, political affiliation or cause of the disability. According to this development, it was necessary to provide various services such as medical treatment, orthopedics, traumatology, physical rehabilitation, occupational therapy, social work, psychology and sport as part of rehabilitation treatment. The majority of people who come to CIREC are very poor and cannot meet their basic needs. Most live in cities and do not own a home so their living conditions give them a very low quality of life. There are many difficulties that poor conditions in homes, neighborhood and surroundings create. Those who come from rural areas have had to leave their homes to seek help. CIREC has formed a patient association, AsoCIREC, which is to empower people with disabilities and their demands for rights in society. This work has been developed locally in the country under the name of "Seeds of Hope" where new AsoCIREC groups formed. CIREC cooperate with the UN agency WHO, Landmines Survivors, International Campaign of Land Mines and many more NGOs and with various authorities. At last count 11,500 have been victims and that number grows daily. In Colombia from 1986-1999, Star of Hope funded work among street children in cooperation with various local organizations. Outreach work among street children, equipping transition homes in Bogota where street children stayed and could build trust with adults; a huge problem there is trust between poor children and adults. From that situation many children through the years had come to the family home as the Star of Hope has built and operated. Through the support of local people who have been the mothers and fathers of the children the children began to trust again and many street children have also via the project received support for education and rehabilitation from drugs. Street children schools have received support, soup kitchens for children and families have been conducted. The results were that we both saved the children from the street and gave them a future and improved development opportunities; we also prevented the children becoming street children in the first place and getting into drugs and crime. The lessons of street children work led to focus on efforts to prevent children from living their lives on the street. * 1965 Sweden the Kärrsjö Tent Conference plants the seeds for The Tent Mission. * 1970 Orphanage Estrela da Esperança, (Star of Hope) in Brazil was founded. * 1976 Village development programs took place in the province of Chaco in Argentina Tent Mission's founder Erik Gunnar Eriksson becomes honorary citizen of Brazil. * 1979 Formation of “Star of Hope” by Tent Mission to be responsible for social work and reaching outside the churches in Scandinavia. * 1981 Star of Hope assistance shipped to Poland behind the Iron Curtain, nearly ten years before the Berlin wall fell. * 1985 Star of Hope decided to go into an active emergency and was the first responders in Mexico City. * 1986 After the huge volcano disaster in Armero, Colombia Star of Hope gave support to a rehabilitation center for the disabled in Bogota. Erik Gunnar Eriksson named honorary doctor in Brazil. The appointment takes place on the constitution of the Star of Hope's philosophy and approach to work for the children through the support of national groups and organizations. The organisation later became CIREC. * 1987 Star of Hope first aid depot opened in a small 12,000 square foot building..
* 1988 Star of Hope presented to the world and public opinion 19,500 dying and forgotten young boys in Fugnido refugee camp in Sudan. The following efforts saved 100,000's of people. * Christmas Day 1989: The first trucks drove into a revolution ravaged Romania. This was the start of an extensive work among Eastern Europe's disabled children. Star of Hope's photos of children tied to their beds, were shown internationally and shocked the world. * 1990 Star of Hope's extensive work on the Nordic schools started with the material "We take each other's hands." Millions have since been trained over the years by the Star Kids Materials and Experience exhibition Children of the same earth. * 1991 Great efforts were done for the Kurdish refugees in Kurdistan and Iraq for refugees. * 1993 Started work among children affected by the radiation from the Chernobyl area. * 1994 Tent Mission / Star of Hope received the Polish Peace Prize. * 1998 Tent Mission / Star of Hope’s founder received from Russian President Boris Yeltsin a honorary medal for the work done in Russia. * 1998 the Star of Hope was the first international aid organization in China after the great flood disaster. The intervention saved the lives of thousands affected Chinese people. * 1999 As thanks for the many voluntary efforts among vulnerable people in Romania, founder Erik Gunnar Eriksson, Tent Mission and Star of Hope is given a medal from the President Emil Constantinescu. * 1999 First international donors' conference held in Kärrsjö / Högbränna with participants from Tent Mission / Star of Hope project countries on four continents including all international management staff. * 1999 For the tenth anniversary of the Romanian Revolution Romanian government decided to again give Tent Mission / Star of Hope with an award for contributions including children with disabilities in Romania. * 2000 Star of Hope's founder Erik Gunnar Eriksson was awarded Romania's highest civilian award, the "Star of Romania" and a knightly title of the sixth and highest level. * 2002 Romania's government asked Star of Hope to assist in the formulation of a national strategy to deal with institutional problems in the country, where children with disabilities are largely separated from their families. * 2003 Björg Farstad Tent Mission and Star of Hope is honored by Ghana for the development work carried out in the years since the beginning of the 1990’s. * 2003 During the war medical oxygen was provided to hospitals in southern Iraq by Star of Hope. * 2004 tsunami disaster shakes the world. The Star of Hope was part of an effort in Indonesia where vulnerable people on the west coast of Sumatra were helped. * 2012 Substantial capital improvements both new construction and repair were complete in Haiti. * 2013 Star of Hope's current development director Lennart Eriksson received the same award as his father Erik Gunnar; the "Star of Romania" with its chivalry title, in recognition of many years of work in Romania. * 2014 the Star of Hope is a unique voice for the Roma people. Twenty-five years of successful operations has given Star of Hope a unique voice in Romania. A voice that authorities, nonprofits and citizens are listening to. Thus, the organization has also been given a great opportunity to step into the Roma issue and mobilize the forces of changing attitudes. * 2015-Resource centers opened in Romania to help the Roma people understand and learn about their rights and opportunities. * 2015 In the Philippines a school addition was complicated in Infanta. In Taytay, Rizal Manila a large project is underway to expand the school, including, a girl's sanctuary, more classrooms, a small college addition and more. *2016 Now 5 resource centers are open in Romania to help the Roma people. * 2016 A Huge soccer complex was completed in Dano Haiti, it will serve 5 villages. * 2018 Awana International partnership started in Haiti. Four new water wells drilled in Haiti. Kenya Star of Hope schools are top rated in GPA in all of Kenya. New schoolrooms, classes and homes built. A needed girls center was built and staffed in The Philippines. A new additional resource center built and staffed in Romania. Lastly here is a photograph that we love. Erik Gunnar and his mother.